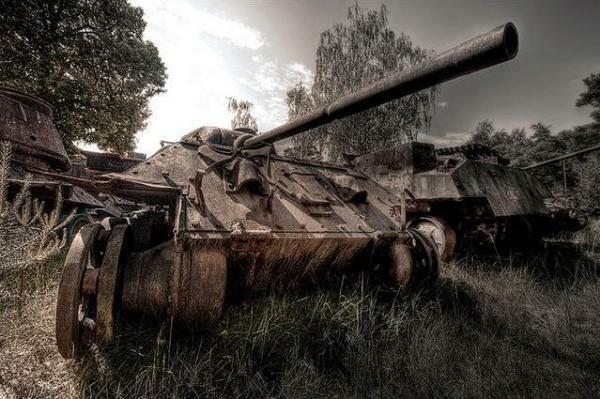 Truly mesmerizing photos of abandoned and rusting tanks. 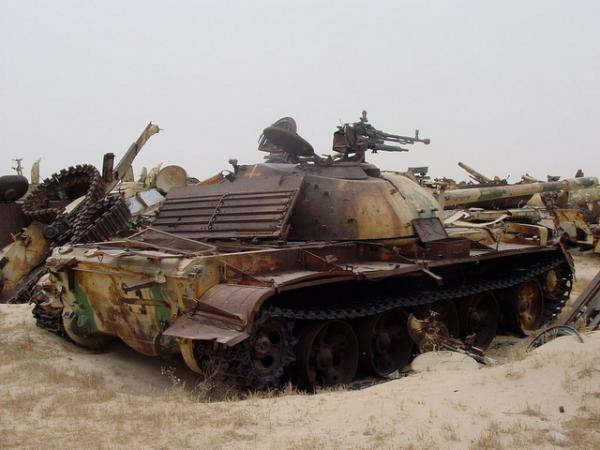 Thanks to EnvironmentalGraffiti.com, an online magazine, which published the article and photos “7 Incredible Tank Graveyards“. Here’s a close-up of the tank, a leftover from US Navy training exercises that used the tank for target practice. 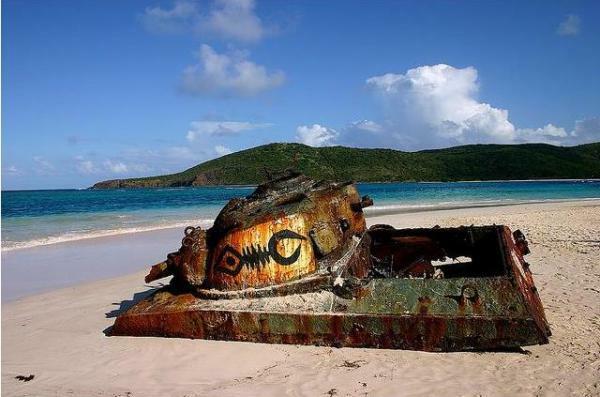 After complaints from locals on Culebra, the Navy moved to the nearby island of Vieques, but the tank remained. Photo courtesy of EnvironmentalGraffiti.com. From the seas to the desert, below is a photo taken in Kuwait. This tank is still intact but is far from being in good shape. The commander’s MG, the main gun, the tracks and road wheels are still present, but neglect and the desert elements have taken their toll. Perhaps it was abandoned, or simply broke down. Photo courtesy of EnvironmentalGraffiti.com. Check out the online article written by Simone Preuss which includes 34 photos of tanks in varying conditions of rust and decay. WWII tank graveyard in overgrowth near an abandoned Russian military base. Photo courtesy of EnvironmentalGraffiti.com. You can view all the photos, taken by a variety of different photographers, HERE.